The first thing you do is make a loop in a piece of wire, and then bend the loop 90° to the stem of the wire (for reference, this is 20g wire, and 2mm leather). Then lay the end of the cord into the wire loop, and fold the tip of the cord back to make a loop in the cord. Keep the stem of the wire parallel to the cord, and make sure that the cord loop is sized for your project, since it is not adjustable! Then, wrap the wire around the cording (and the stem of the wire), making the wraps go DOWN the cord (don’t wrap the wire up the cord loop! ), keeping the wire smooth. 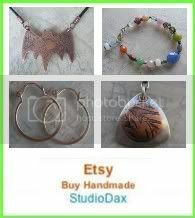 Continue wrapping the wire, keeping it smooth and taut – try not to have any gaps between the wire wraps. If you do have gaps, squeeze them together gently with chain nose pliers. Make 4-5 full wraps with the wire, and cut it flush as it aligns to the center. Press it close to the cord if needed, being careful not to mar the wraps. Cut the center wire stem, lightly file the ends as needed, and cut the leather tail close to the wrap, if you like. 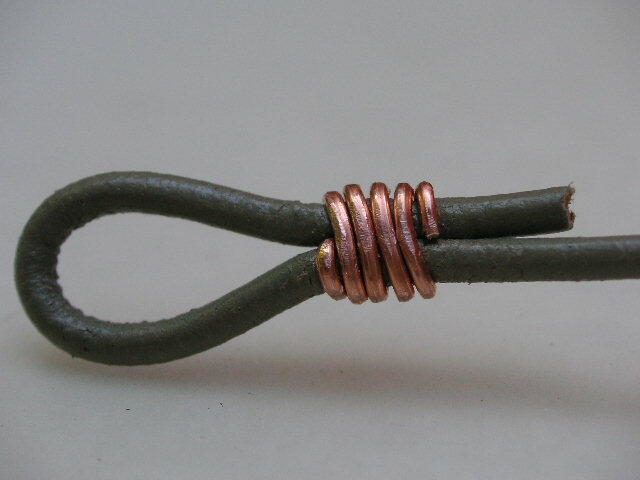 Some Tips: If you have trouble, practice using 22 gauge wire. 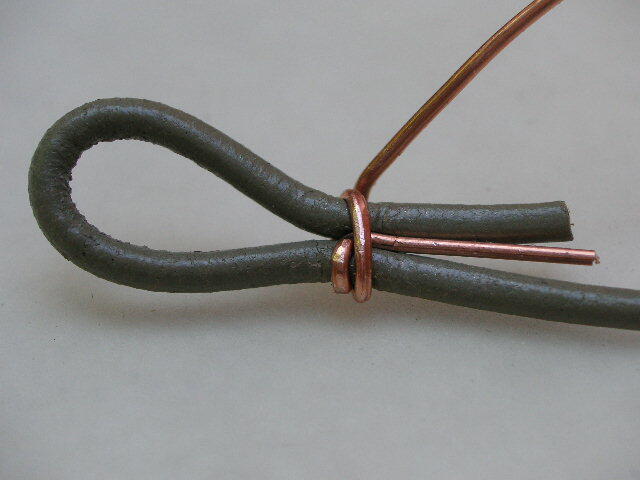 If you have gaps when wrapping the wire, pull the wire lightly toward the loop as you bring it around the cord,. If your wraps aren’t tight, then the cord can pull loose – try pulling the wire up taut, then pull tight around the cord.